Shylene is the director of Meridian Surgery Center, managing day-to-day operations and extending patient care before, during and after surgery. By guiding patients through their entire surgical process, Shylene ensures each patient a pleasant experience while at Meridian. Born and raised in Victoria, Shylene received an Associate’s degree in nursing before relocating to Austin in 2000, where she received her Bachelor’s of Science in Nursing at The University of Texas. Shylene cared for patients at Brackenridge hospital before transferring to Meridian in the fall of 2006. She brings with her many years of experience in patient care and medical management, as well as an extremely comforting and reassuring attitude that immediately puts patients at ease. Jerri provides patient care before, during and after surgery at Meridian surgery center. With one-on-one care through the entire surgical process, Jerri is guaranteed to put patients at ease. With over 20 years of experience, Jerri’s knowledge and passion for what she does are assets that enable her to give each patient an exceptional experience. Jerri graduated from Kansas State University with a degree in Marketing, but always gravitated towards the medical field. She had the fortitude to follow her dream and went back to school to obtain her nursing degree in 1991. Jerri has an extensive history working in the ICU caring for trauma patients. After 15 years as a critical care trauma nurse in Kansas City, she and her family decided to relocate to Austin in 2006. She joined the Meridian team in late 2007. Her devotion to health, healing and helping others, enables her to comfort patients, and extend the highest quality care while at Meridian. 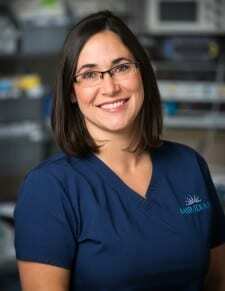 Claire serves as one of Meridian’s nurses, administering patient care throughout the surgical process. With over 11 years of combined experience in trauma, ICU, operating room and plastic surgery nursing, Claire is more than equipped to handle any situation that may arise. Claire was born and raised here in Austin to a family very active in the medical community. Having several doctors in her family gave Claire the opportunity to learn about the field of medicine and provided her with the affirmation that she wanted to fully commit to the field of nursing. Claire graduated from Texas Christian University in Fort Worth in 2005 with a Bachelor of Science in Nursing. She then provided care as an agency nurse before joining Seton Medical Center in the ICU as well as the Brackenridge trauma team. Claire joined the Meridian team in January 2016. Her many years of experience in a variety of different and difficult situations give her incredible compassion for each and every patient she cares for. Maintaining the highest standards in patient care is Claire’s goal, and her remarkable expertise allows her to achieve this daily. 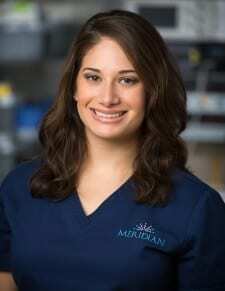 Alexis is Meridian’s Certified Scrub Tech and Surgical First Assistant. 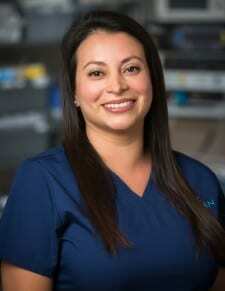 Alexis is responsible for overseeing the operating rooms, supplies, special equipment, training staff, making sure all activity regarding surgery runs seamlessly, all while actively assisting in surgery throughout the day. With over 23 years of experience in the medical field, patients can take comfort in knowing that no matter what procedure they undergo, their surgery will run smoothly and harmoniously. After acting as a medical assistant for 8 years in her hometown of El Paso, Alexis learned she had an interest and a knack for surgery. She made the decision to become a surgical tech, and relocated to Austin for her subsequent internship. She completed her training in 2002, scrubbing in some of the most challenging cases, including pediatric heart surgery and complex spine surgery. She continued working in the pediatric field before beginning employment at Meridian in 2004. However, her thirst for knowledge continued and she completed training as Surgical First Assist in 2009, meanwhile maintaining her position at Meridian. Alexis’ capacity to skillfully handle any situation she is presented with guarantees patients, staff and physicians alike a highly satisfying surgical experience. Ashley is a Certified Scrub Tech, assisting physicians in surgery and helping to maintain all aspects of the operating rooms. 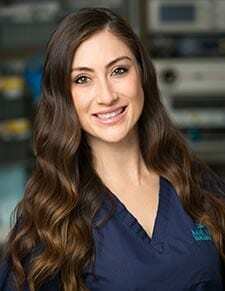 Helping to manage all instruments and special equipment, Ashley will ensure operating rooms are orderly and clean, and that the physician’s needs are met during surgery. A native Austinite, Ashley’s fascination with the human body and how it works led her to training to become a scrub tech. She graduated in 2011 and immediately began employment at Scott and White Hospital for just under 2 years. Ashley joined the Meridian team in October 2012. Ashley is truly passionate about her job and dedicated to providing the best possible surgical experience to both patients and physicians. Jocelyne is a certified scrub tech at Meridian. She is responsible for making sure the operating rooms are set up properly according to each surgery and to ensure each surgery runs smoothly for the operating physician, staff and patient. 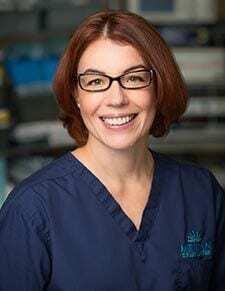 Jocelyne can be found managing and stocking special instruments, setting up for and turning over between surgeries, and actively assisting physicians during surgery. Jocelyne’s interest in biology, anatomy and science led her to her chosen career. Born in a small town in North Texas, Jocelyne also had a passion for traveling. After graduating from tech school in 2002 and subsequently receiving her certification, she combined her interests and became a traveling CST. Living in New Mexico, Massachusetts, Connecticut and Washington State, she scrubbed in complex cardiothoracic and vascular surgery, among various other types. Jocelyne decided to return to her home state in 2006 and settle down in Austin. Her past experiences as well as her proficiency and expertise in her field allow her to provide the highest quality assistance possible and maintain an environment of excellent surgical conditions.